The makers of the darn-near invincible Toughbooks are taking on the tablet world. Today Panasonic announced the "Toughpad" family. There are 2 versions, the A1, a 10.1 incher; and the B1, a forthcoming 7 inch. The A1 has a 10.1 inch, 4:3, XGA (1024x768), daylight viewable screen. It has capacitive touch and "offers" a stylus for handwriting recognition. The main feature though, is its ability to take your abuse. Get it wet, hot, cold, sandy, or drop it, and the Toughpad will keep on working. Your wallet is going to have to be pretty tough too, the 10 inch version will run you $1300 -- more than twice the price of a more delicate tablet. The hardware's not the only tough part, as your data will be protected too. Panasonic added "hardware and software encryption, enhanced VPN, dual factor authentication, trusted boot and device management." That's right, hardware encryption. Scary. They've also added some remote management features to help out the enterprise minded. You can push applications to your fleet of tablets, "secure devices from unauthorized use" and there are "many other granular features not found in consumer-grade Android-powered tablets." An Android device wouldn't be complete without some crapware. 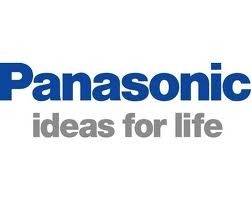 Panasonic created yet another app store, the "Business AppPortal" which is "an enterprise-focused app store offering best-of-breed vertical market specific solutions as well as applications addressing broad enterprise concerns, including Mobile Device Management, security and virtualization." As far as availability goes, the A1 can be yours in spring 2012, and the B1 will arrive in the fall. Dimensions: 10.5 x 8.3 x 0.67 in. And Panasonic has thoughtfully created a video of the tablet being abused. It's awesome. There's full website up and running over at PanasonicToughpad.com. Go check it out.